Did you know that the average chainsaw injury of a professional logger requires as many as 110 stitches? Ouch! Just imagine how many more stitches the average Joe would have to suffer if an accident should occur! That is why we just can’t stress enough on the importance of using chainsaw safety equipment when operating your chainsaw. Safety records of professional chainsaw logging operations have proven that fewer injuries are sustained when chainsaw safety equipment is being used. So whether you are an occasional or a professional chainsaw user, do yourself a favour by donning the necessary personal protective equipment. Wearing a hard hat with a visor and safety goggles will not only protect your head but also shield your eyes and face from the assault of flying sawdust and debris. Ear guards are also important if you want to prevent hearing damage as even the best chainsaws will produce a decent volume of noise! Weather-appropriate clothes that provide high visibility, and heavy-soled boots with steel toecaps are other safety equipment you should use. And the most important chainsaw safety equipment of all – chaps. These are made of cut-resistant material that can stop a fully-throttled chain from sawing right through your leg! A must-have indeed for every chainsaw user. 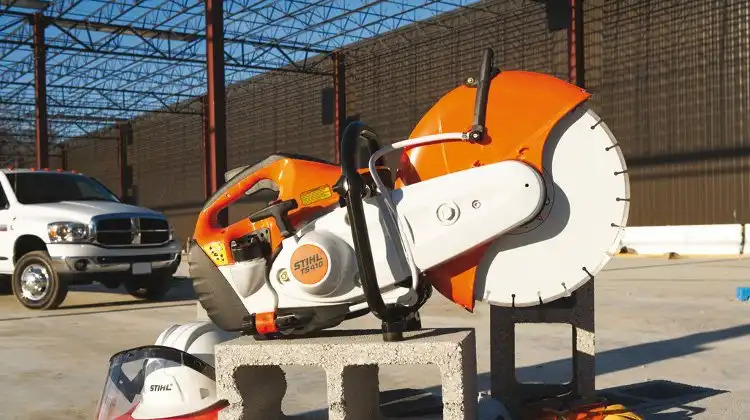 STIHL has a wide range of chain saw safety equipment for both the professional and the home user to choose from. Whatever you may be looking for, STIHL offers reliable, comfortable and affordable products that ensure effective protection from head to toe. We all know the familiar saying, “prevention is better than cure”. So be smart. Observe the safety precautions when you work with outdoor power tools. You’ll be glad you did.